It's not just the fact that Buick made just 2,454 GS 400 Convertibles for the 1968 model year that makes this car special - aside from its good looks obviously. The Gran Sport started life as an option for the Skylark mid way through the 1965 model year. 1967 saw it become a model in its own right with the GS 350 and GS 400. Only the GS 400 was available as a convertible body style. Buick had a name for luxury cars, sitting just under Cadillac. When building for performance Buick didn't think things should be any different. The Gran Sport was probably one of the most luxurious and comfortable muscle cars available in 1968. A bench seat was standard with the bucket seats you see here an optional extra. 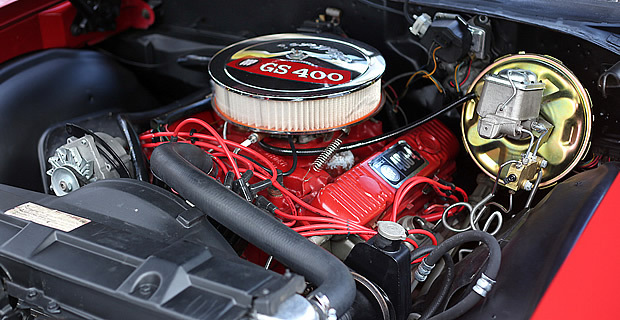 Power comes from a big-block 400 cubic inch V8 engine outputting 340 horsepower. 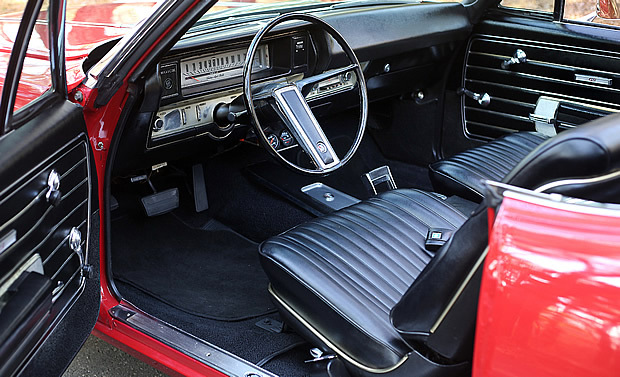 Standard for the GS 400 was a 3-speed manual transmission. However this car is equipped with the optional Turbo-Hydramatic automatic transmission at an additional cost of $227. 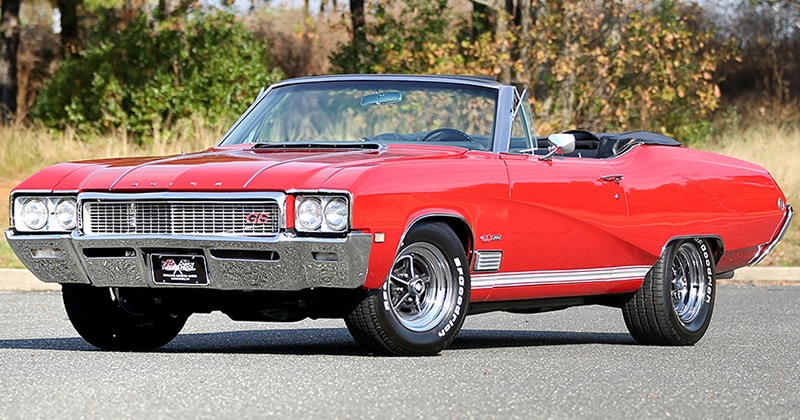 If you wanted a Buick GS 400 Convertible back in 1968 the base price would have been $3,271. However, because of all options on this car you would have paid more than the base sticker price for this GS 400. Here are just some of the options that were selected when it was ordered new - along with the prices in brackets if available: power steering ($100), power brakes ($42), bucket seats and center console, AM/FM stereo radio ($134). It was originally built in the Baltimore, MD assembly plant.